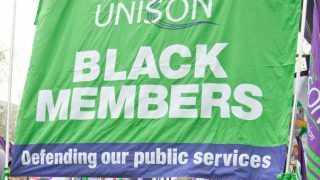 A busy final morning at UNISON’s disabled members’ conference in Brighton saw delegates work through a wide range of business. 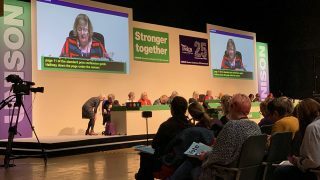 Moving a motion for the South East region, Fran Fox said that it is “recognised that employees with a disability” may need to take time off work “if their mobility or illness becomes severe”. 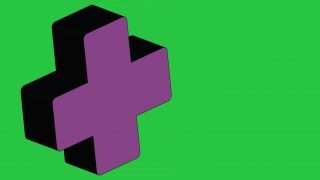 But it is also recognised that a lack of understanding by some employers about disability leave can result in disabled employees facing “formal action” particularly around absences, though this contravenes the Equality Act. 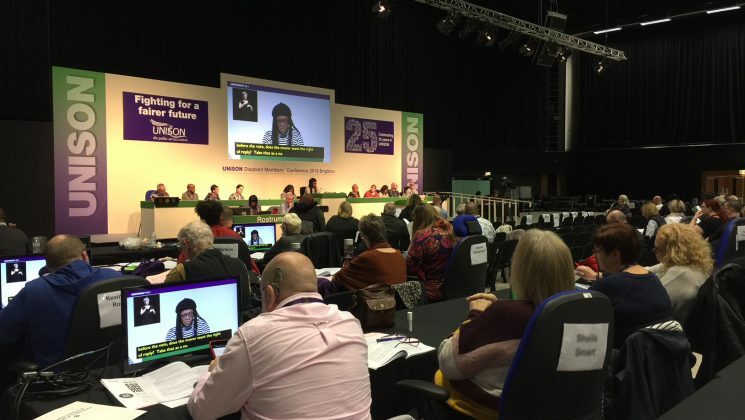 Kathleen Kennedy for the national committee assured delegates that the union has produced disability leave guidance that can be used to negotiate with employers, but urged conference to “campaign for disability leave to be a statutory requirement written into legislation”. 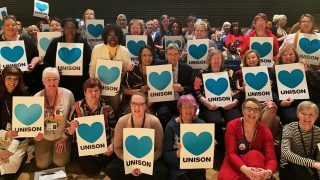 Determined to let her fellow delegates hear some “good news”, Susan Parkinson from Oxfordshire health branch said that “it is possible” in unionised workplaces to “get things through” – her branch had been able to negotiate disabled passports and disability leave to help disabled workers. 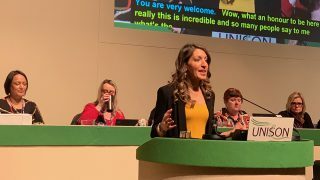 Moving a motion on tackling the disability employment gap, Kevin Buckle for the deaf caucus, informed delegates that, while 80% of non-disabled people have a job, the figure is only 49% for disabled people in general. But the situation is even more difficult for deaf people: “Some employers even claim that they cannot employ deaf people for health and safety reasons”. Conference agreed to instruct the committee to consider producing a guide for reps on representing deaf British Sign Language users. the need to support disabled people to stand for election.